San Diego California Home Inspector - Mold Inspection - Air Quality Testing - ERMI San Diego Home Inspector (619) 253-4149 , San Diego Home & Mold Inspection Service	| About our Certified Home Inspection Services | proudly inspecting Chula Vista, National City, Point Loma, La Jolla, La Mesa, Encinitas, El Cajon. "We Provide Peace of Mind"
Home inspections make good sense whether buying, building or selling. Understanding your home's systems and components is critical when it comes to purchase, repair and maintenance decisions. A professional property inspection is an impartial third-party visual analysis of the physical structure, electrical, plumbing, heating, air conditioning, roofing, interior and exterior. Upon completion of your home inspection, you will receive a formal written inspection report, detailing the condition of your home and each item inspected. The average home inspection takes two to three hours, depending on the size, age and condition of your property. While you do not need to be there throughout the entire inspection, I strongly encourage prospective buyers to be present for the walkthrough at the end of the inspection, as you will have a much better understanding of your new home and the report if you take the time to go through the walkthrough with me. San Diego Home and Mold Inspection is proud to provide reports utilizing the highest quality reporting system available for your real estate home inspection. You will find out Matrix Deluxe reports to be easy to read, and the explanations provided within the report are helpful to buyers and homeowners alike. 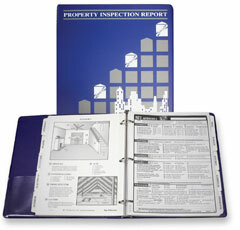 We also include basic maintenance and safety tips with our reports that are a great resource for future reference. You will receive your professional inspection report on site at the conclusion of the inspection, and will be able to review and refer to it during the final walkthrough. E & O and Liability Insurance by Great American E&S Insurance Co.